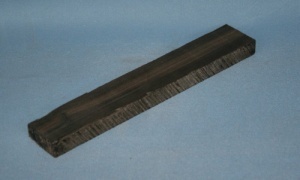 Indian ebony classical guitar bridge blank grade AAA* light stripe. Diospyros melanoxlon sourced from India. Ebony has been the wood of choice for the bridges of fine guitars for centuries.